As 2014 rapidly comes to a close, I find myself straddling the line between the past and the future, as I reflect on the ups, downs, and the middle ground of the past year and look forward to the endless opportunities that the new year brings. As I do every year, I excitedly am preparing for the upcoming year by dreaming new dreams and then devising plans to make these dreams realities. 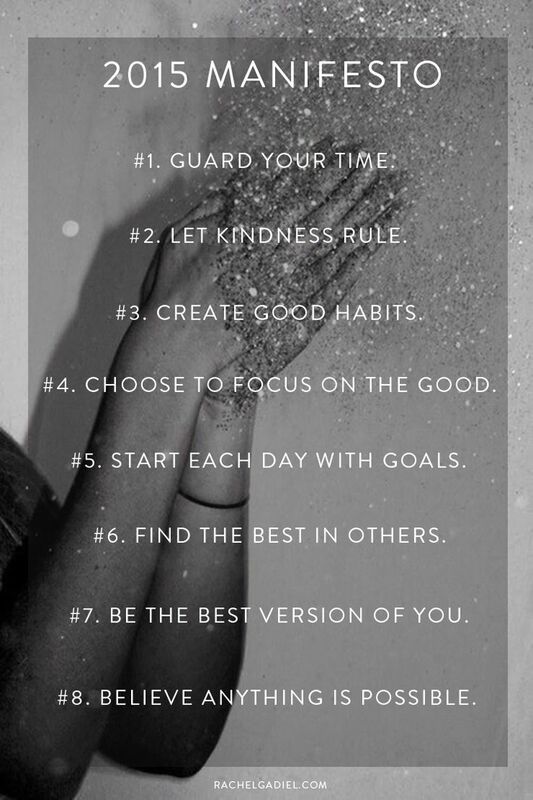 As I end my first year as a co-administrator for The Kindness Blog (thank you, again, Mike O’Connor for this incredible opportunity), I decided to come up with a list of resolutions related to being kind. Meditate. By far, this may prove to be the biggest challenge for me, as I struggle to quiet my “monkey mind” for more than a few minutes at any given time, but I know that adopting a meditation practice would help to manage the stress, anxiety, and depression that sometimes overwhelm me and to help me to be more present. Listen more, talk less. This is another challenge for me, as I am known for my gift of gab, but sometimes, the greatest gift you can offer to someone is an ear to bend. It feels incredibly good to be heard. Exercise. Working out does my body, mind, and baby soul a world of good, and taking care of myself then enables me to better take care of others. Offer sincere compliments whenever possible. Who doesn’t like to hear that they look nice or did a great job on a task?! Okay, I know that it can be difficult to accept compliments sometimes, but deep down, most people like it. So, in a world of critics, I intend to be one who compliments. Speak positively. Complaining, gossiping, criticizing, making negative comments, etc. seem to be in vogue these days, but this year, I want to bring positive self-talk and speaking kindly and respectfully to others back into fashion. Eat well. As a parent, I try to ensure that my daughters eat healthy and well-balanced meals, while I will allow myself to either skip meals or make less than healthy food choices. This year, I intend to return to eating “clean” (fruits, vegetables, whole grains, unprocessed foods, etc.) and drinking more water to make sure that I am healthy enough to do all of the ordinary and extraordinary things I have planned for myself and others. Perform random acts of kindness regularly. I love to surprise my friends and family by sending them cards, flowers, or small gifts for no reason at all, in addition to making a stranger’s day possibly brighter by paying for their beverage, leaving change in a vending machine, donating money to a charity, and so on. It’s a practice that I look forward to doing more often, because no matter how big or how small a kind act is, it matters. Say “thank you”. Whether it is spoken or written, two of the most meaningful words are “thank you”. So, when you appreciate someone or something, give thanks and make it known. By the way, thank you for reading this! Say “I love you” and back it up with actions. Too often, love is assumed or implied, but it is most powerful when it is expressed in words and complimentary behaviors. It can be scary to profess your love to another person, trust me, I know, but it can be a risk worth taking. The world definitely needs more love. Be honest with myself and others. The truth may hurt, but I would rather hear the ugly truth than be told a pretty lie. The truth shall set you and others free, and freedom is one of the kindest gifts of all. This is not an exhaustive resolution list or an original resolution list, but it is a list to focus my intentions on making it a kinder year for myself and others. I hope that you will resolve to do the same . Happy New and Kind Year! This is a great New years list! Again, I thank you for reblogging this! liked this so much I decided to reblog! Happy New year! Claire, thank you so much, and I wish you a wonderful new year! I appreciate you reblogging this! Good ideas not only for the New Year but for every single day. Make 2015 a year of Kindness. Many, many thanks for reblogging this! Thanks so much, and I wish you and yours the happiest of new years! Very good list! Not only good for New Year but for every day in every year! I am so glad that you liked this and appreciate your positive feedback! Happy 2015! 🙂 Happy 2015 to you too! Many thanks, and I wish you all the best in the year to come! You are so welcome, and my sincerest thanks for reading this! Happy New Year! So very happy that this resonated with you, and I wish you the happiest of new years!!! You have laid out what a beautiful, kind, loving soul you are. I, for one, would find it impossible to not feel very close to someone who seeks to achieve such high standards of giving such love and emotional support to others. My wish for you is that you receive every bit as much back, and enjoy good health and much happiness throughout 2015. What a truly beautiful message, and I thank you so much for sharing it with me. I definitely am not always kind and loving and struggle sometimes to see my own beauty, but I give it my best shot each day:) I appreciate your support and encouragement, and I hope that 2015 brings you great joy and much love! A Lovely list Kristin, thank you. Best wishes for 2015. Sorry, blame autocorrect! Kristi not Kristin! Judy, thank you so very much; I am glad that you liked it! Happy 2015!!! We definitely need to be kinder……especially to ourselves and especially this time of year. Good luck with the meditation! It took me such a long time to make things quiet down, but one day an hour and a half into a workshop…boom, it happened. It will feel that much more amazing and special because you’ve worked for it. Great resolutions and good luck! Many thanks, and your story about your own meditation journey both inspires and encourages me! Happy New Year! You are most welcome, and I appreciate your kind words! Thank you so very much for sharing this! Happy 2015! This is a wonderful list. I am so grateful to you for reblogging this, and I so appreciate your kind words! Wonderful thoughts. The one New Year’s message I shared with my readers was “say something encouraging” (not necessarily to me). You put it much better than I did. Happy 2015! I have no doubt that you stated your message of kindness quite well, and I appreciate your kind words. Here’s to a kinder, gentler year for all! I love this. My new mantra for 2015 is “Being kind is more important than being right” and I hope to remember this every day! Lynne, thank you for your positive feedback! I love your mantra, too. Here’s to being kind to ourselves and others each day! Thank you for starting my morning with such lovely words, and I am glad that you found me, too!